Prior to WWII, what I know as Camp Banjoebiroe 10 was a small youth prison in rural Central Java. 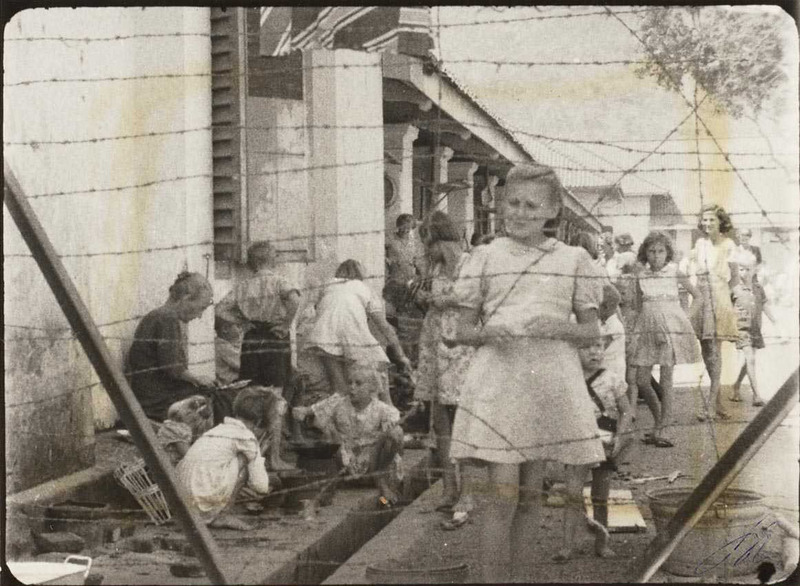 When the Japanese Army converted it to a concentration camp for women and children, it housed more than 3,200 persons. It was hurriedly enlarged just before the end of the War, at which time it held 5,300. 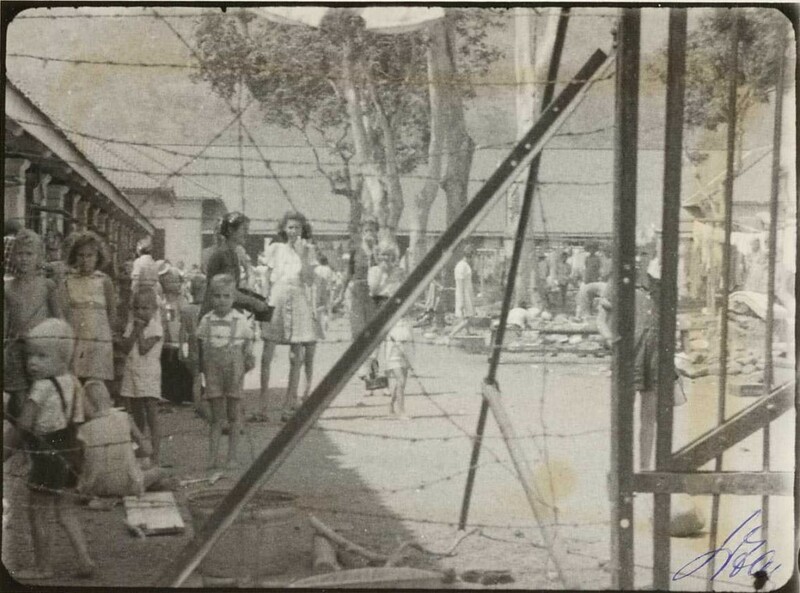 These 2 photos of the open area surrounded by the jail cells were taken 5 weeks after the end of the War but before the arrival of British Troops to secure the Camp. Banjoebiroe 10 had turned into a voluntary prison with every family fending for itself. The gates had been taken down and some of the barbed wire with woven bamboo fencing had been removed to let us come and go, but we still did not feel free to leave. To where? The Japanese guards would not have allowed any person near the fence anywhere and definitely would not have tolerated people to congregate in the proximity of the fences. If they caught you, they would give you a severe thrashing. Children were not immune from this.